A well conceived signage scheme brings brands to life! Whatever your business, we’re experts at helping you optimise your signage opportunities to put you on the map and generate footfall. We are experienced at perfecting layout, shape, colours and fonts to reflect your brand’s qualities and get the most out of your location. Older buildings need sensitive consideration when designing a new signage scheme. 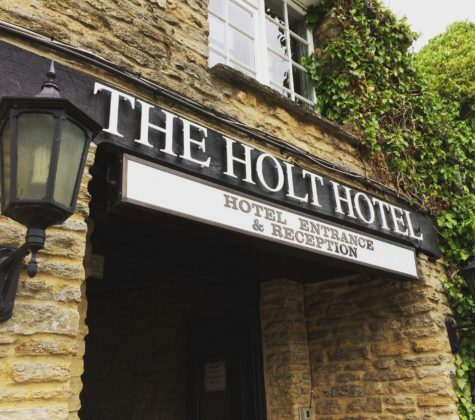 At the Holt Hotel, we designed cut lettering to stand proud of the oak facade, ensuring the natural fabric of the building, which has significant architectural importance, remains visible whilst still allowing for clear signage. Colour tones and typeface selection ensure the sign is clear and welcoming, and yet in harmony with its natural surroundings. 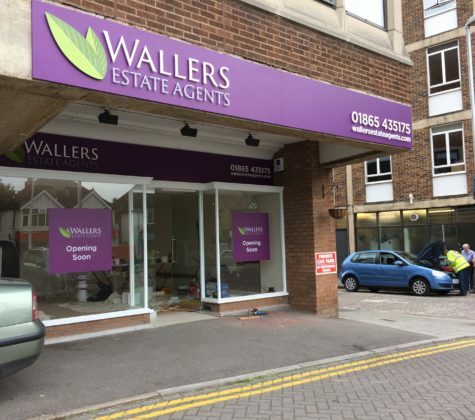 Tray signs can be adapted to work on virtually any shopfront scheme. Lettering can be cut out and mounted onto the sign for a more 3-dimensional effect that is a very attractive and elegant solution.